Another lighthouse weekend has unfortunately come and gone. 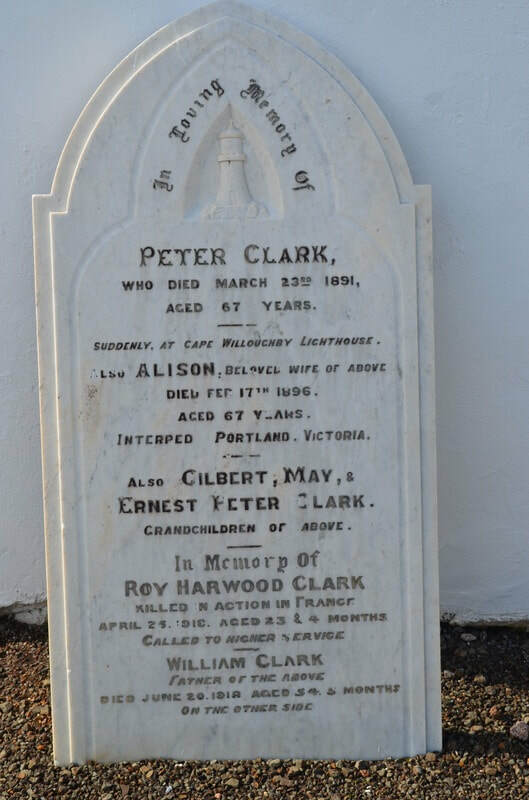 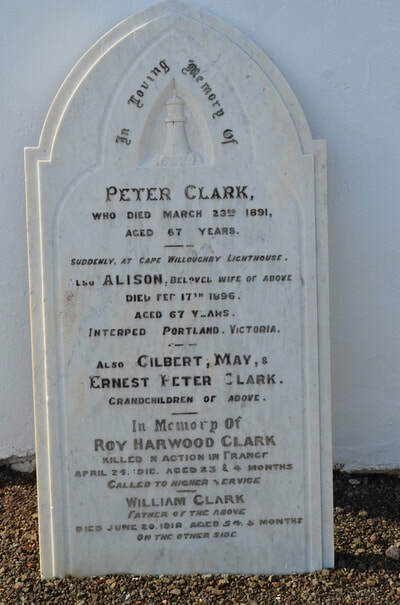 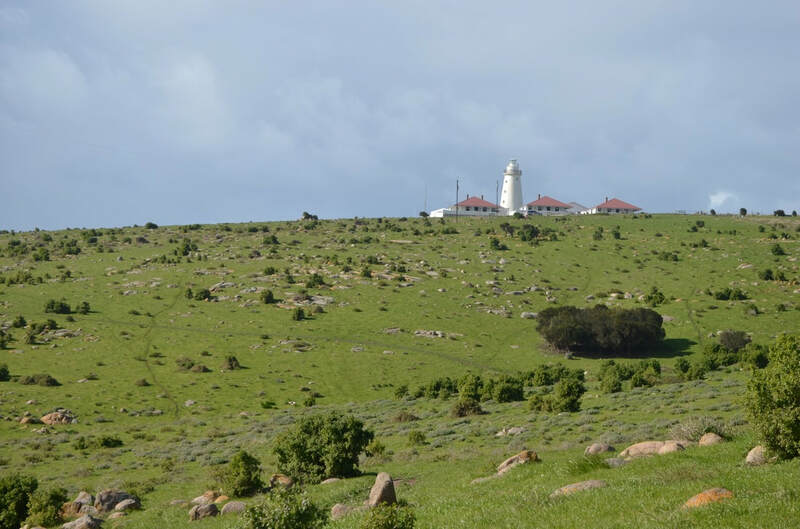 This year, 2012, was the 16th anniversary of the International Lighthouse and Lightship Weekend (ILLW), and coincided with the 160th anniversary of South Australia’s oldest lighthouse situated at Cape Willoughby on the easternmost point of Kangaroo Island. 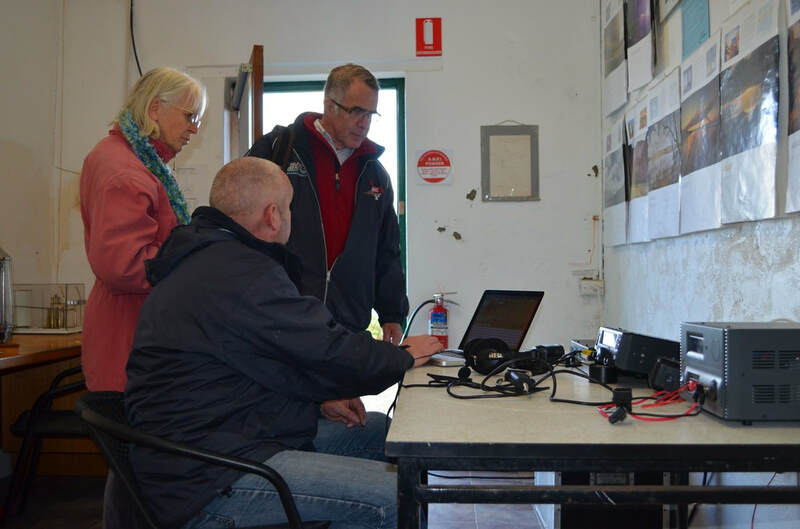 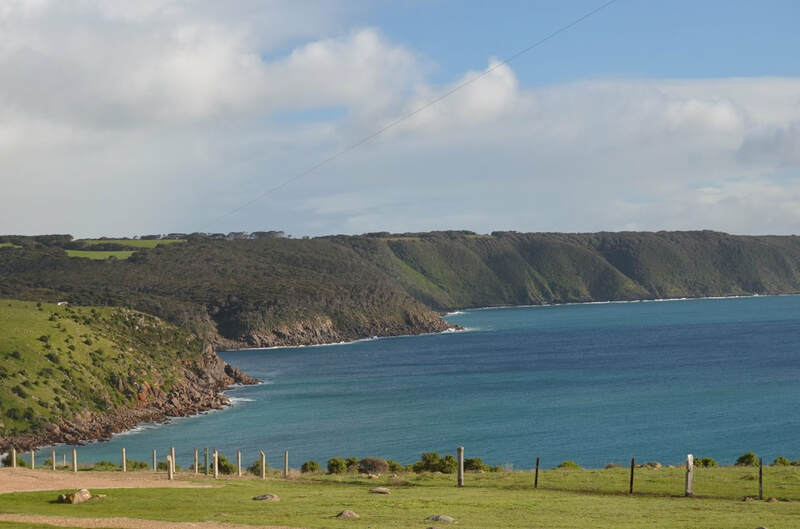 A team of seven operators from the Adelaide Hills Amateur Radio Society ventured to Kangaroo Island, Australia’s third largest island, and operated from remote Cape Willoughby, using the special call sign of VI5CW from the afternoon of Friday 17th August through until the morning of Monday 20th August. 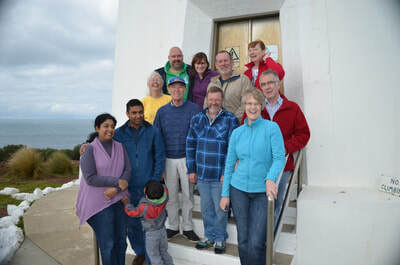 The group consisted of Paul VK5PAS, Sasi VK5SN, Mark VK5VW, David VK5KC, Hans VK5YX and his wife Lesley VK5LOL, and Trevor VK5ATW. 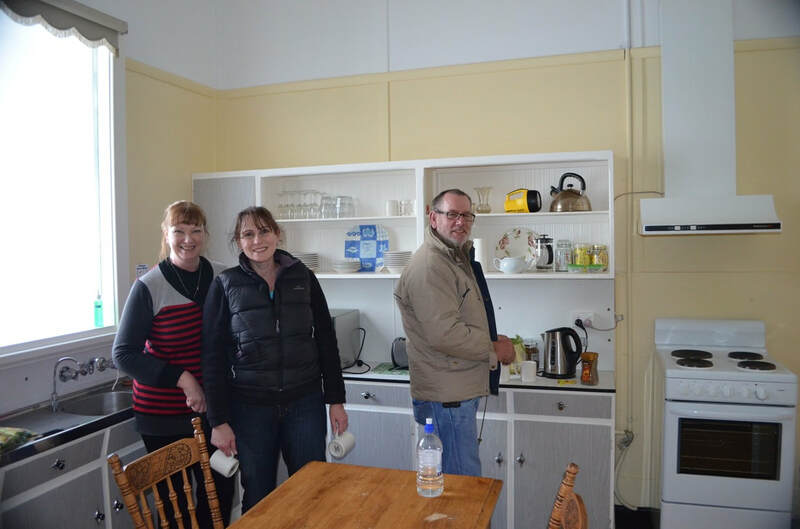 Not to omit the other important members, our XYL’s, Marija, Ash, Michelle, & Joy, who kept us fed and watered. 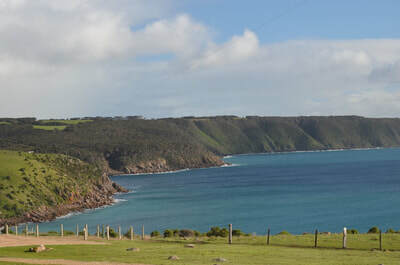 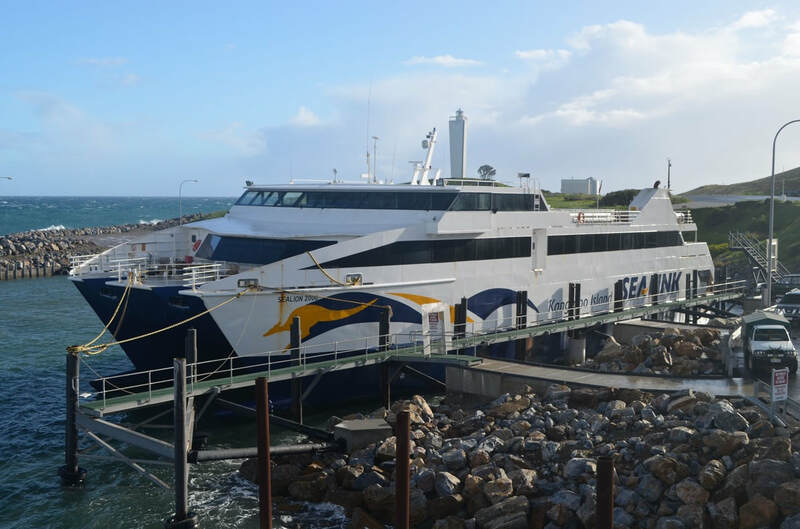 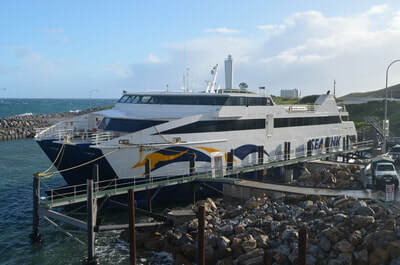 Early on the morning of Friday 17th August, 2012, eight of us journeyed to Cape Jervis on the Fleurieu Peninsula, about 108 kms south of Adelaide to board the 8.30 a.m. ferry. 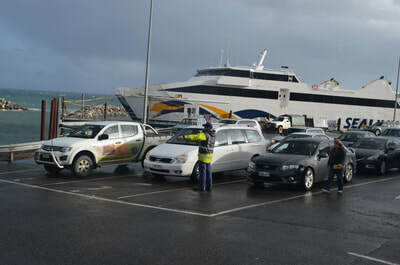 Three of the group were smart enough to catch the later ferry at midday. 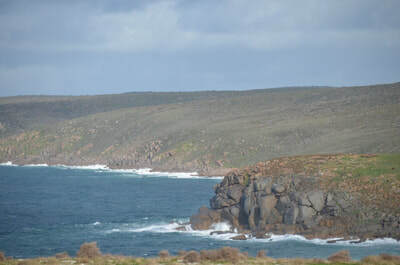 Enroute to Cape Jervis we encountered some blustery weather, including hail which was not a good omen for things to come. 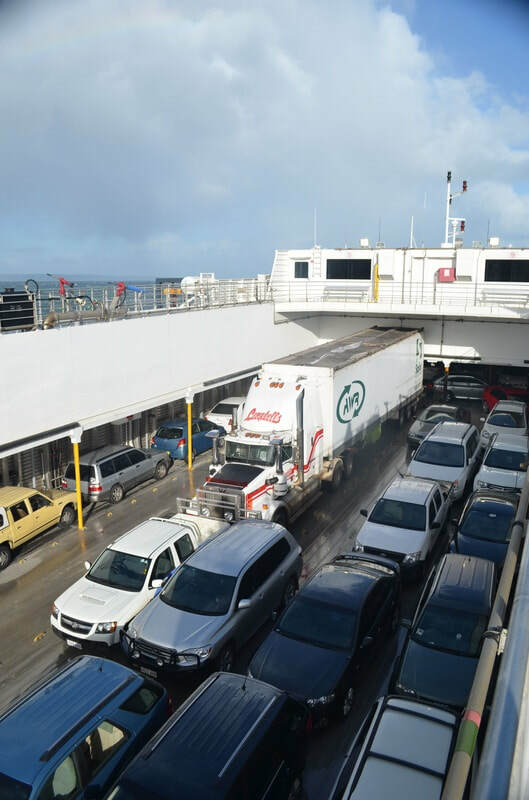 The 45 minute journey aboard the Sealink ferry, across the 11 km stretch of water called Backstairs Passage, made for some interesting times. 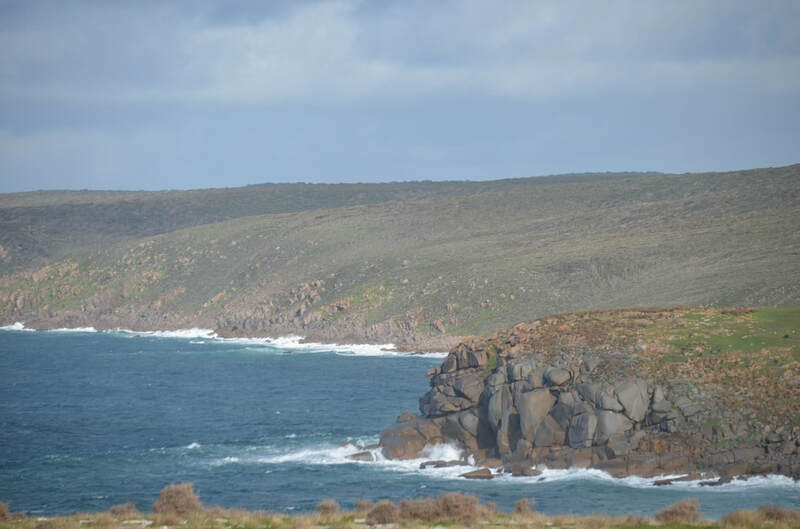 The weather was particularly inclement that day and the trip quite rough. Fortunately only one case of sea sickness resulted though. 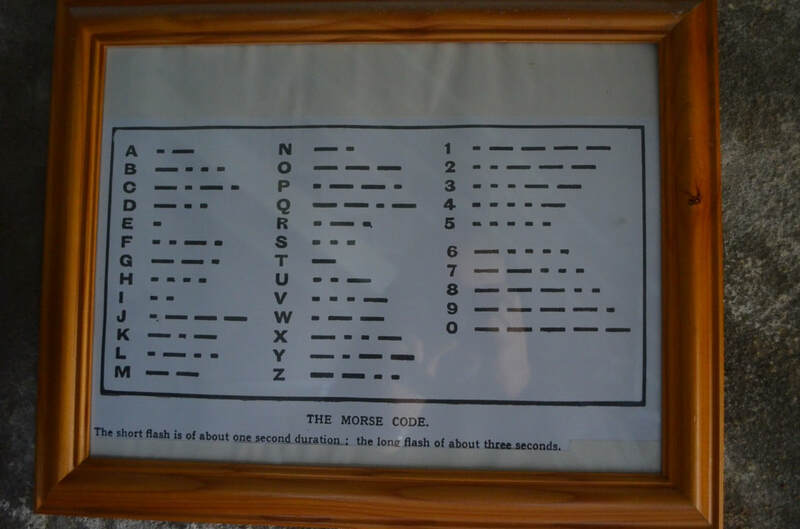 Our adventures didn’t finish there. 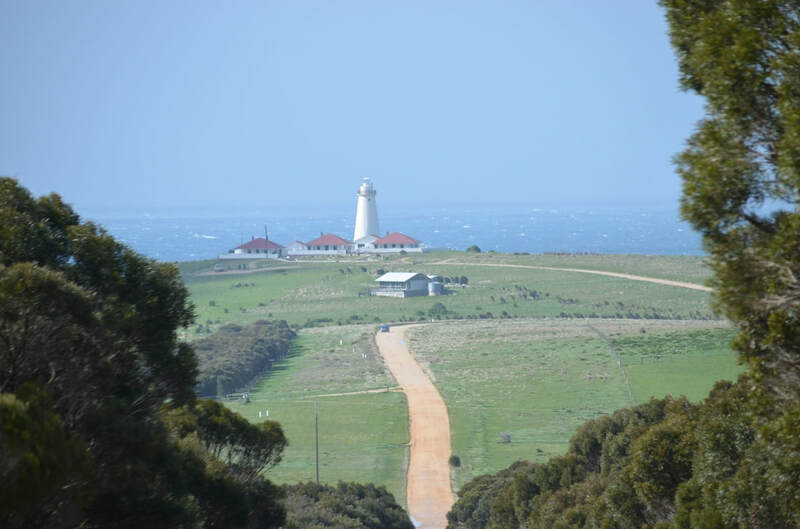 After arriving on the island at Penneshaw, the 30 km dirt stretch of Willoughby Road to the lighthouse was quite challenging at times with mud, large sheets of water, and big pot holes. 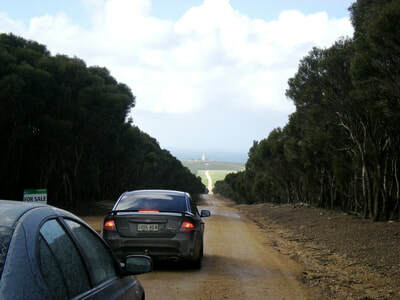 Fortunately no one became bogged and the view along the shrub lined dirt road to the lighthouse was spectacular. 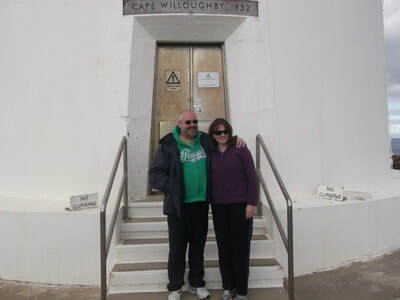 Upon our arrival at the Cape Willoughby lighthouse, we were informed that Cape Willoughby had experienced 55 knot winds (100 kmh) that morning, making it the windiest place on record in Australia. This made the erection of antennas quite a challenge. 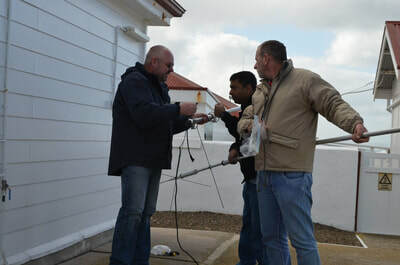 David VK5KC & Trevor VK5ATW made the 102 step journey to the balcony of the lighthouse and secured some ropes to the railing, some 22 metres from the ground. 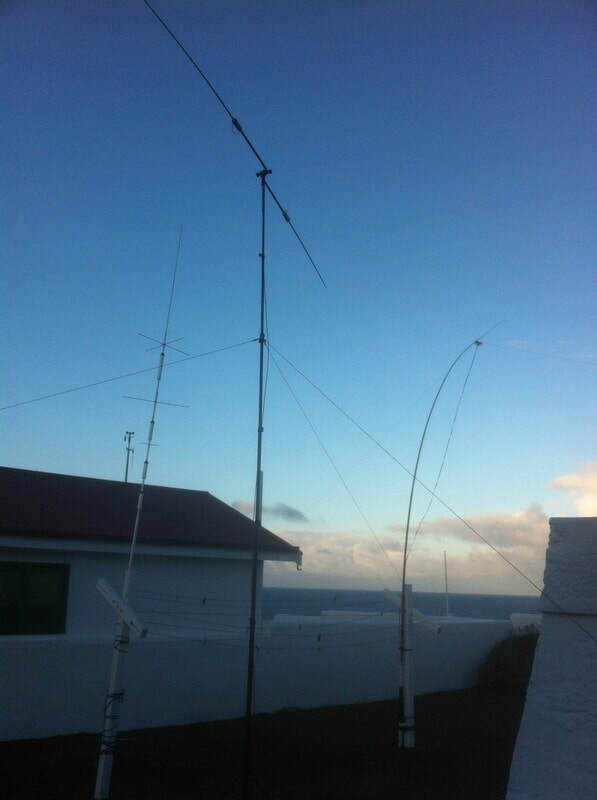 From here we were able to erect a dipole antenna. Our accommodation was the ‘Thomas’ and ‘Seymour’ cottages located at the lighthouse. 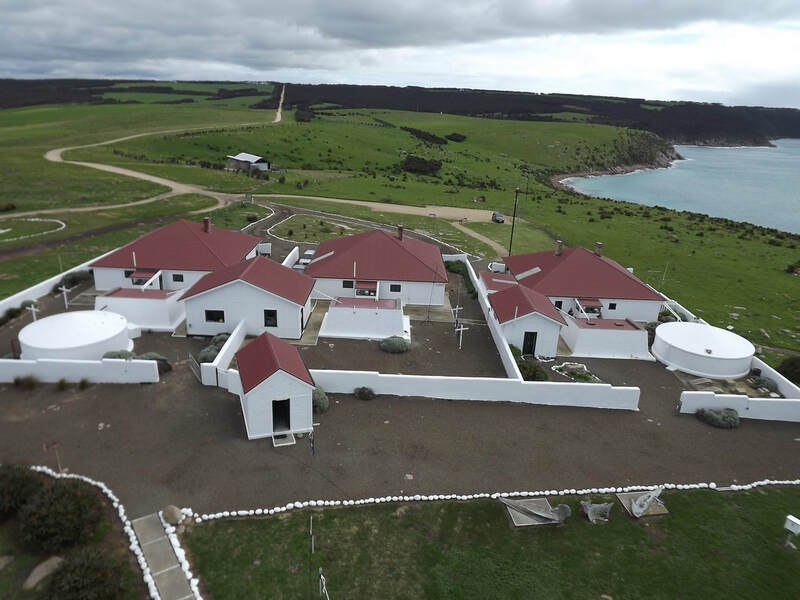 These are the old lighthouse keeper cottages constructed in 1927, which have been beautifully refurbished and are self contained and offer five bedrooms. They provided very comfortable accommodation for our three night stay. 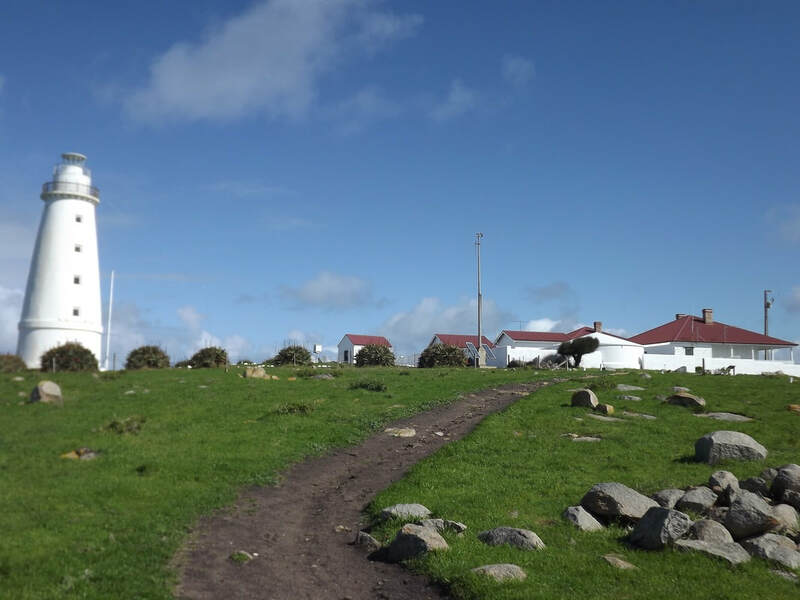 During the blustery Friday, we established four operating stations at the lighthouse in what could only be described as trying conditions. The first operating position was located in the old weather station, about 15 metres from the lighthouse. This consisted of a Yaesu FT450, 100 watts, and a broadband folded dipole which was attached to the railing of the lighthouse in a sloper configuration. 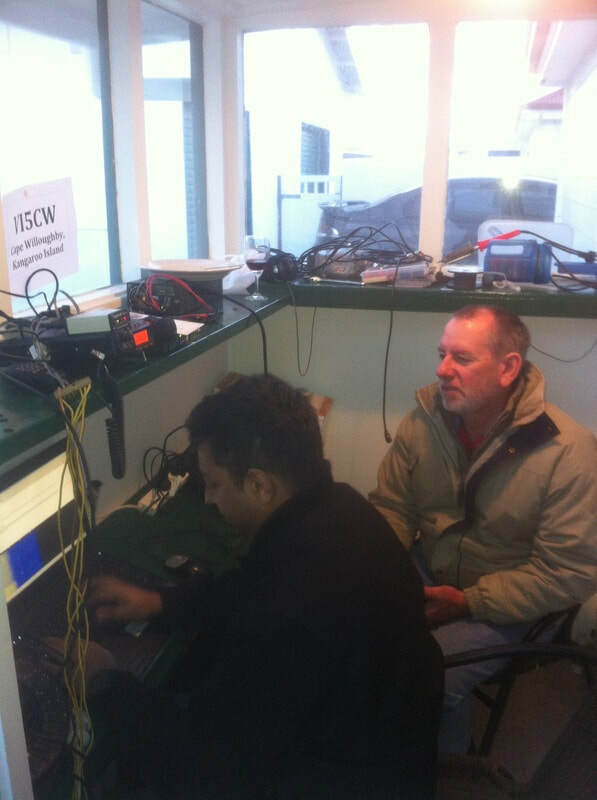 This was our main operating position. 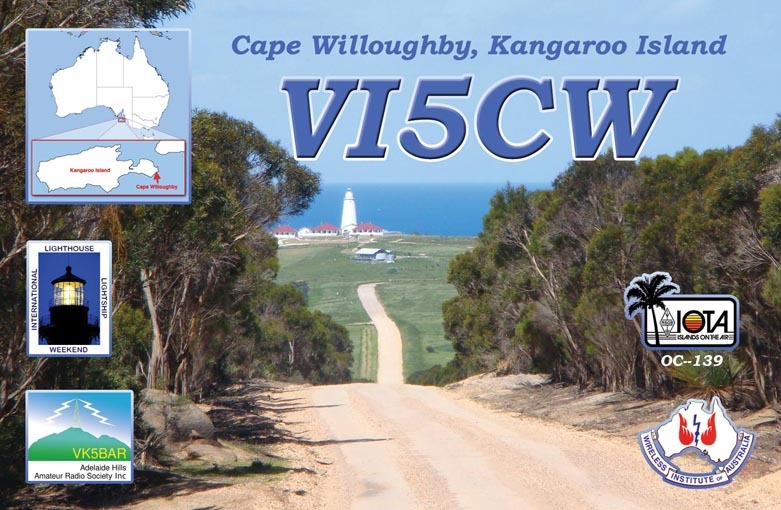 The refreshing voice of Lesley VK5LOL was often heard from here. 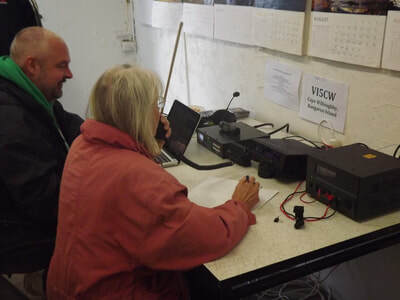 Mark VK5VW and I also operated regularly from here, as did others from our group. 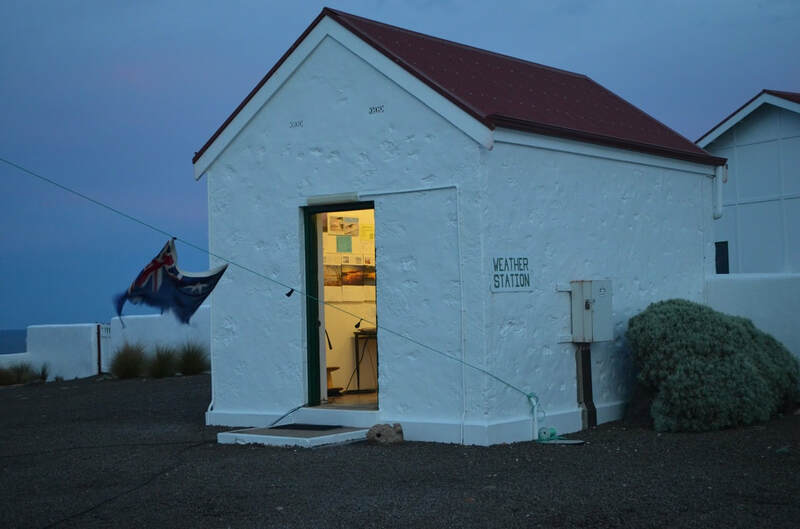 Operating conditions were quite difficult at times, as this small room constructed of granite and sandstone, did not offer great acoustics. 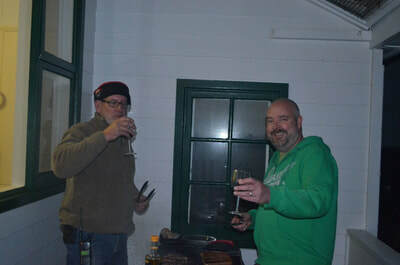 The second operating position was located in the back porch of the ‘Thomas’ cottage. This was the domain of Sasi, VK5SN, who was active on PSK31 on 20 and 40 metres. 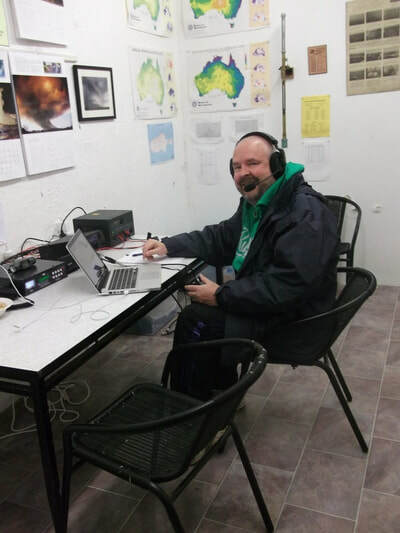 Using a Yaesu FT857d, and a vertical and an OCF dipole, he made about 30 PSK31 contacts to a variety of countries, including Australia, USA, Poland, France, Papua New Guinea, Reunion Island, Turkey, and Russia. The third operating position was located in the back porch of the ‘Seymour’ cottage. 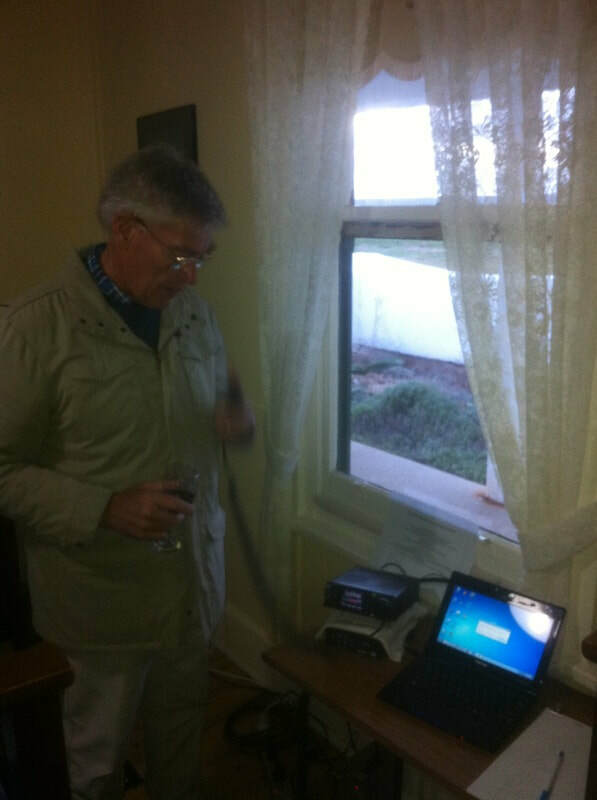 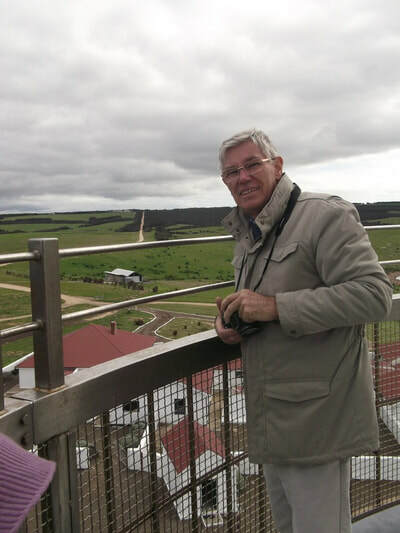 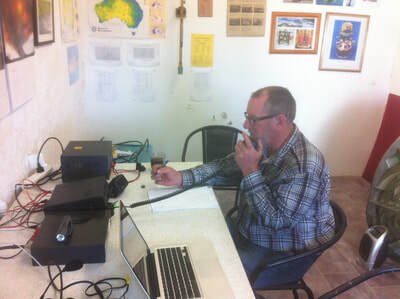 David VK5KC & Trevor VK5ATW, were highly sought after on 2 metres from stations on the South Australian mainland. 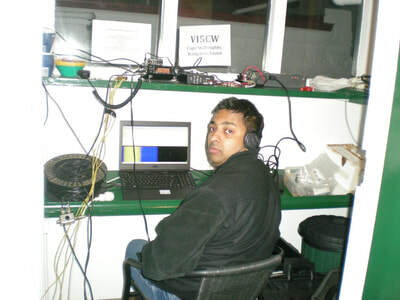 A total of 60 stations were worked on SSB & FM on both 2 metres and 70 cm. 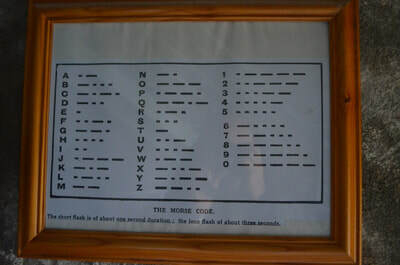 The fourth operating position was in the ‘Seymour’ cottage. 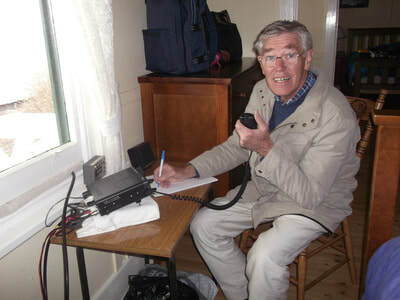 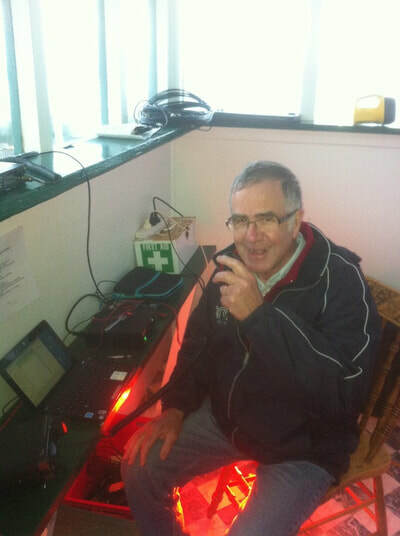 Hans, VK5YX, used an Icom 7000 and a multiband HF whip on his 4WD parked out the front of the cottage, and made a number of contacts on 80, 40, & 20 metres. 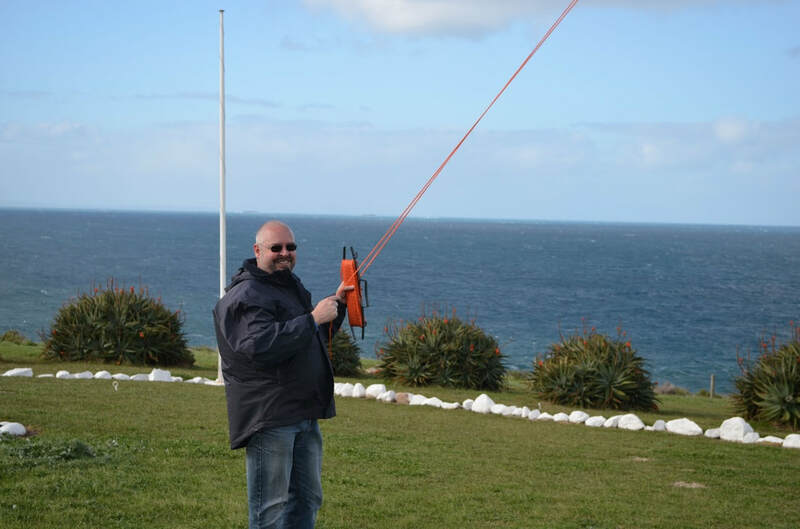 With the performance of the broadband folded dipole being quite poor on 20m, on the Sunday afternoon we erected a 20 m dipole and this made a considerable difference to our success on 20 metres. 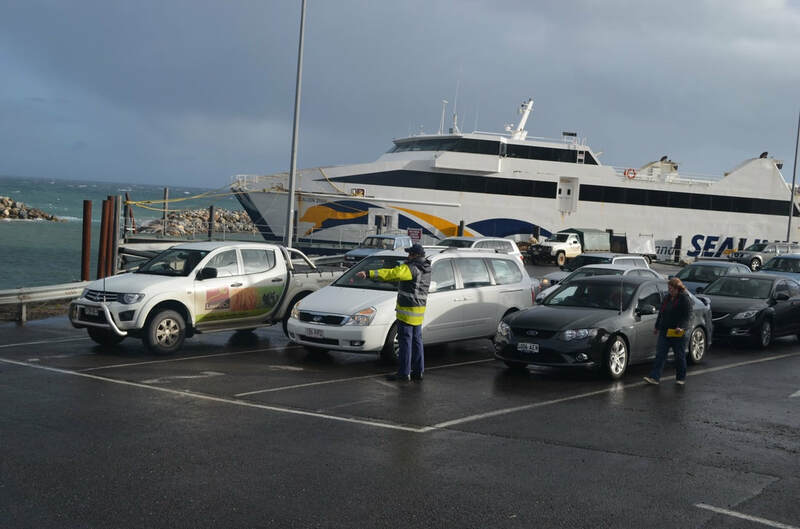 An extremely large ’pile up’ resulted into Europe. During the 3 days we were active on 20, 40, and 80 metres on HF, and also on 2 metres and 70cm. A total of 511 QSO’s were made around Australia and overseas. 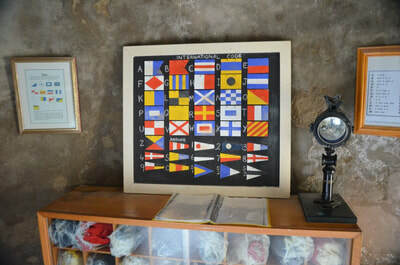 A total of 30 different countries were worked on 20m and 40m, including Asiatic Russia, Australia, Austria, Belgium, Croatia, Czech Republic, Denmark, England, Estonia, European Russia, Federal Republic of Germany, Finland, France, French Polynesia, Indonesia, Italy,Japan, Netherlands, New Zealand, Papua New Guinea, Poland, Puerto Rico, Reunion Island, Scotland, Slovenia, Sweden, Turkey, Ukraine, United States of America, and Wales. A total of about 39 different lighthouses around the Australian coast were worked in all states except for the Northern Territory. 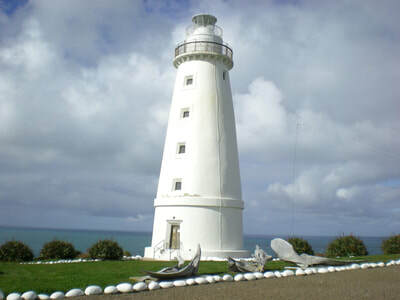 Five different overseas lighthouses were worked. These being the Punta Gorda lighthouse, California, USA (40m SSB); the Punta Higuero lighthouse in Puerto Rico (20m PSK31); the Los Morillos lighthouse in Puerto Rico (20m SSB); Castle Point lighthouse, New Zealand (20m SSB & 80m SSB); and Bean Rock lighthouse, New Zealand (20m SSB). 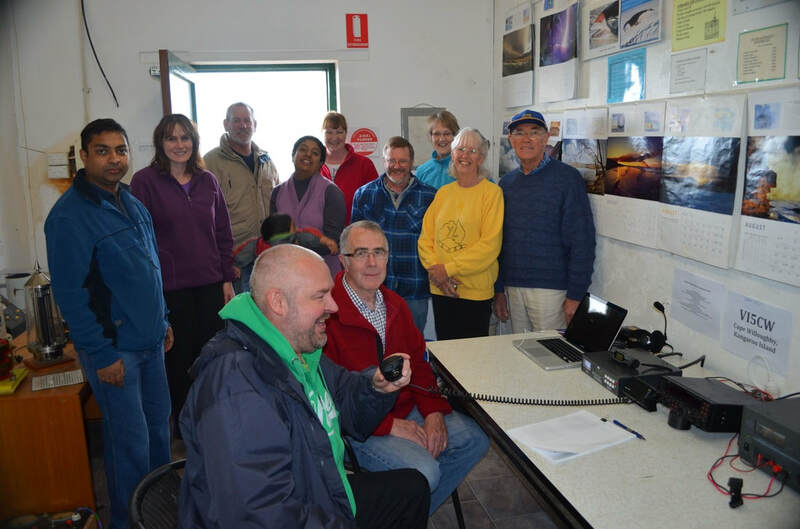 Some of the highlights of the weekend were speaking to a number of pedestrian mobile stations in the United Kingdom, an on air interview with Ashley Walsh from ABC 891 Radio, and a special tour of the Cape Willoughby lighthouse. 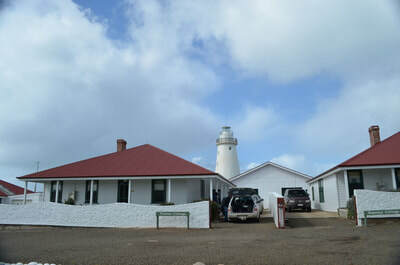 Unfortunately due to the weather and road conditions out to the lighthouse, visitor numbers were limited. However we were lucky to be visited by Wren Lashmar who previously worked at the lighthouse for a total of 15 years, and a lady whose husband was a SK amateur operator. 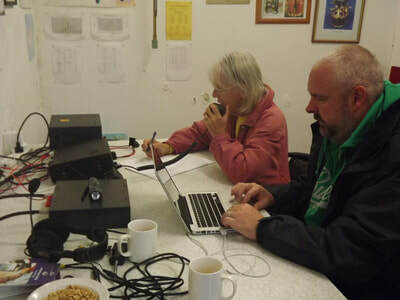 They found our operation and our small display which we had erected on the hobby of amateur radio interesting. The weekend was a terrific success and most enjoyable, and all of us are looking forward to next year, and another possible trip to Kangaroo Island. Special thanks must be mentioned to the Department of Environment Water and Natural Resources staff at the Cape Willoughby lighthouse, including Adele and Quentin. They made us feel particularly welcome and showed a keen interest in our operation. Also our thanks goes to the Department of Transport Energy and Infrastructure, who kindly allowed us to attach antennas to the railing of the lighthouse. 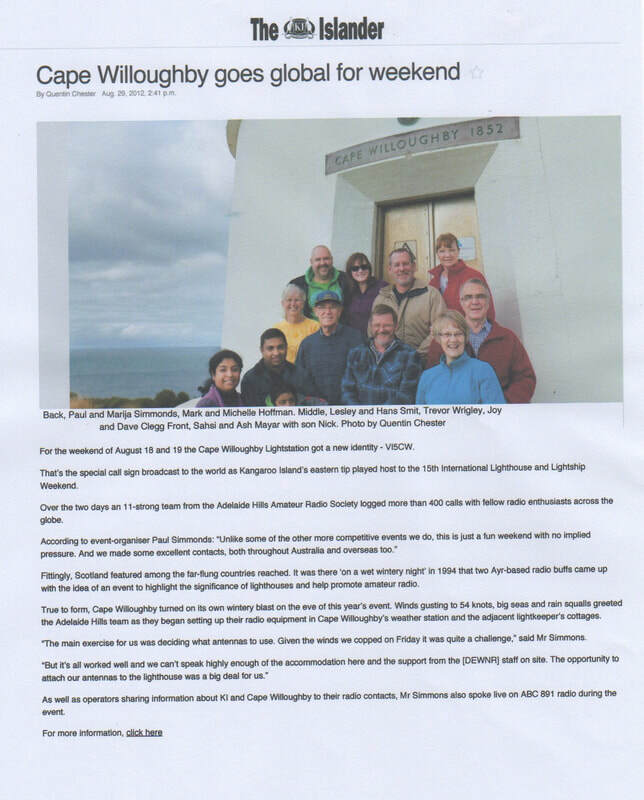 More information on our trip can be found at our website at http://simmopa.wix.com/capewilloughby and on our QRZ.com page. Best 73 and thanks to all those who gave us a call.